With the near ubiquity of video, the question is shifting from whether to use it to deeper questions: How and why? In higher education, one particularly strong trend is how online learning and traditional on-the-ground instruction are not only using some of the same techniques, but actually sharing content. In the online realm, this includes traditional distance courses, as well as content created in association with massive open online courses, or MOOCs. Greater investment in educational video means that more questions are being asked about impact and return on investment. Learning analytics in general are gaining steam at all levels of education, although we are still in the early stages of defining what to study and how to study it. For video, “analytics” often means tracking usage wherever possible, which at least ensures that content is being watched and not ignored. On the horizon are analyses of how video usage correlates with other aspects of student learning and performance. However, that step can be complicated by issues surrounding student privacy. To get on-the-ground perspectives on these issues and the overall state of educational video, we talked with learning professionals working in a variety of contexts. Matthew Farber teaches history at Valleyview Middle School in Denville, N.J., and is a doctoral candidate in Educational Technology Leadership at Jersey City State University. Al Weiss is the founding director of the Center for Educational Technology and Curricular Innovation at Pacific University in Forest Grove, Oregon. Liam Moran is an instructional resources systems specialist at the Center for Innovation in Teaching and Learning at the University of Illinois. Gina Anderson is CEO of the learning services company Mopi16, which designs online courseware for government, major universities, and enterprise companies. The growing popularity of the flipped classroom continues to be a strong driver of video use across all levels of instruction. As he describes it, “Students watch videos from home and then they participate in hands-on learning in school.” Those without good internet access at home are able to access content in the school library. Weiss says the biggest demand was for lecture capture when he first arrived at Pacific University 3 years ago. Now that demand has shifted to videos designed for the flipped model. “Faculty are creating short screencast-type videos, 5–10 minutes long,” he says. The growing popularity of the flipped classroom means that more and more faculty are creating short screencast-type videos for their students to watch, says Al Weiss, founding director of the Center for Educational Technology and Curricular Innovation at Pacific University in Forest Grove, Oregon. These videos are used in undergraduate, professional, and graduate programs at Pacific, including blended learning programs that are specifically designed to deliver some portion of instruction using technology, supplemented by traditional classroom teaching. Mopi16 has designed a learning platform around what the company calls eNuggets, which are similar to the short videos created by university faculty. “It’s a small piece of content that has one essential point in it,” Anderson says. “From a cognitive standpoint, a person’s working memory can only hold seven pieces of information at a time, plus or minus two. So you don’t want to cognitively overload someone.” These content pieces may be video or other multimedia, but should be no longer than 10 minutes. Gamification has become an even hotter topic in education, both in the classroom and online. Turning lessons into games helps students of all ages engage more actively with the learning process. In teaching history, Farber incorporates videos to help set the scene or provide information for use in game play. “When my students cure global epidemics together in the cooperative board game, Pandemic, or when they create a building in ‘Minecraft,’ they must know why they are playing first. Farber authored the recently published book, Gamify Your Classroom, a Field Guide to Game-Based Learning. Much of the book draws upon his practical experience using games with his students. Matthew Farber teaches history at Valleyview Middle School in Denville, N.J., and uses video to help set the scenes for learning games including Pandemic and Socratic Smackdown. On the horizon, Anderson says, “you’ll see a lot of discussion around gamification being incorporated into corporate training,” because it helps to further customize training for specific learning outcomes. MOOCs have been a forceful driver of video production in higher education for the past few years. These free classes, offered by major colleges and universities around the world, include courses on subjects as diverse as artificial science and business processes. Unlike traditional distance degree programs, anyone with access to an internet connection may enroll, though without the benefit of course credit (at least for free). Call it the price of progress: Low-priced dSLRs have made cinematic video mainstream, but they're no substitute for camcorders. While the school year is a hectic one for video teams, it's important to carve out a few hours to meet together and think creatively about upcoming projects. There are thousands of online video lessons available, but many gaps to fill. Companies and colleges should look to the niche topics they can deliver. Your school's video has value, not just for learning and assessment, but for training, promotion, publicity, recruitment, and more. Make sure you choose an education video platform that helps you maximize that value while keeping your video secure and well-managed. 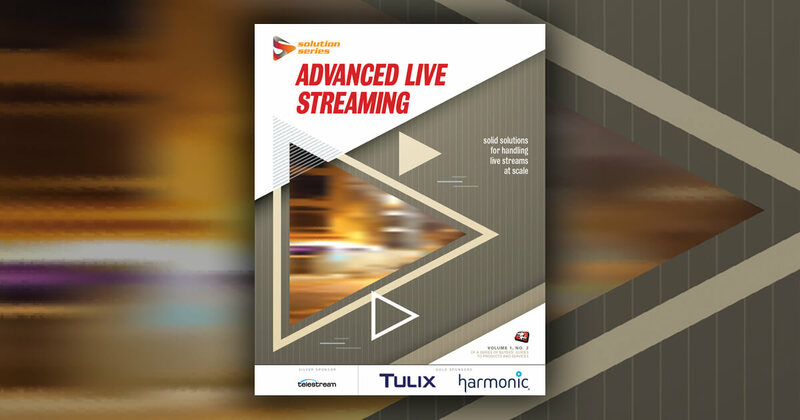 Campuses need to think about their streaming video needs before choosing a solution. Here are the factors to consider and the questions to ask.